Developers have launched a flagship £2.4m scheme in North Leeds to create a bespoke collection of three, eco-friendly family homes. They are being created using Structural Insulated Panels (SIPs), a high-performance, modern building system favoured by the popular Channel 4 TV series, Grand Designs. 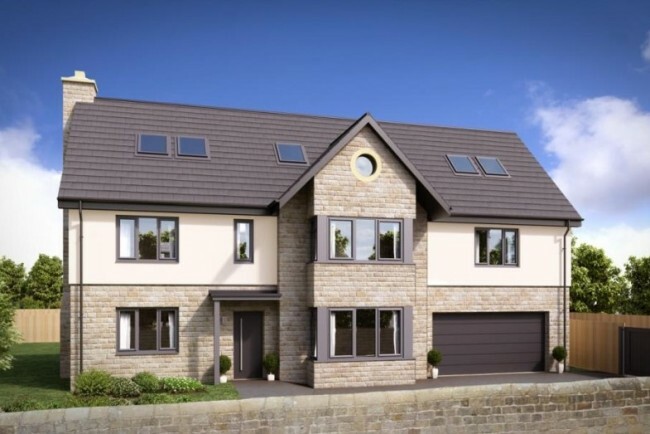 The development is a home-grown Yorkshire success story, with the housebuilders, DAB Residential Development, based out of Harrogate; and the SIPs provided by SIPS@clay, of Skipton. The five and six-bedroom detached properties are located in the heart of sought-after Shadwell, and are being unveiled to the market this week through the Roundhay office of estate agents Linley & Simpson. Drawing upon the latest building technology, allproperties at Hyrst View will all benefit from the ultimate energy efficient and air-tight insulation – and lower bills. The flagship five-bedroom home, built over 3,700 sq ft and spanning three floors, is for sale at £995,000. Both the six-bedroom properties are on the market at £695,000.